Cistern Tanks are manufactured from Food Grade FDA approved Virgin Polyethylene Resin. Complies with U.S. Food and Drug Administration regulation 21CFR 177.1520 (1) 3.1 and 3.2 for storage of potable water. For underground storage tanks that involve waste, we recommend viewing our septic tanks section or bruiser tanks section. 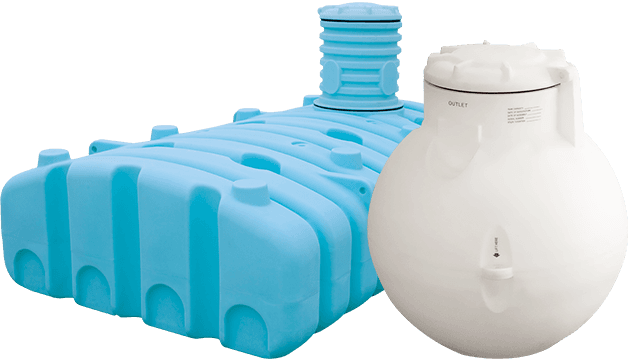 Bruiser tanks can be used for both potable water or septic use.